On the cover:We are all slightly addicted to our shared interest, succulent plants. 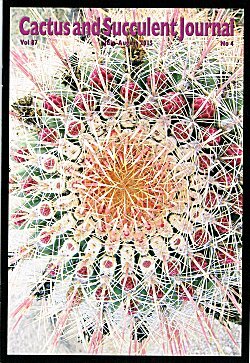 Sue Hakala took the cover picture while fulfilling her need for spines and the beauties of the desert. We are fortunate she has decided to share her "Fero Fix" with us!